It's hard to help our clients overcome anxiety and depression. The time we have with our clients is brief, and the interventions we offer have to combat thousands of negative thoughts they'll experience when they're outside of our offices — thoughts that can lead to spirals of worry and panic that can ruin their lives. We need effective, proven techniques that our clients can use on their own to overcome these two incredibly common disorders. That's why we've brought together leading experts Margaret Wehrenberg, Reid Wilson, Judith Belmont, Jennifer Abel and more, for this Anxiety and Depression Online Conference. Through 5 information packed sessions, you'll learn powerful, practical techniques from evidence-based approaches, such as Cognitive Behavioral Therapy, Dialectical Behavior Therapy, Mindfulness, Somatic Exercises, Yoga, Acceptance and Commitment Therapy and Schema Therapy. These are strategies you can immediately apply with your clients — so they can heal and maintain mind and body well-being. Walk away with confidence that you can help your clients break free of anxiety and depression! Earn up to 17.5 CE Hours - included in the course tuition! In this comprehensive course, you'll learn simple, practical strategies to stop spirals of worrying, lower stress, and eliminate symptoms of panic and social anxiety...strategies that you can immediately teach to your clients. These 10 proven methods, developed from the latest insight into the science of the brain, will give you a complete set of tools to work with anxiety symptoms. Through case examples and in-seminar demonstrations, you'll learn how to effectively use diaphragmatic breathing, reducing tension and mindful awareness techniques to offset panic and acute anxiety with different age groups. Help your clients identify and change the ways they avoid their social anxiety. • Use these techniques with groups or individuals and in different types of psychological services: private practice, hospital units, classrooms, nursing facilities, etc. Margaret Wehrenberg is a licensed clinical psychologist, is the author of 6 books on the treatment of anxiety and depression, including her most recent book for the general public, The 10 Best Anxiety Busters. An expert on the treatment of anxiety and depression, she also has extensive training and expertise in the neurobiology of psychological disorders. Growing evidence shows that the quickest, most effective approach to treating anxiety involves instructing clients to ramp up their fears while telling themselves how much they welcome the experience. 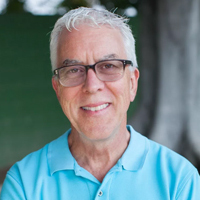 In this session, cognitive therapy expert Reid Wilson will teach you how to help clients shift their relationship with their fears and override the responses that perpetuate them. Reid Wilson is a licensed psychologist who directs the Anxiety Disorders Treatment Center in Chapel Hill and Durham, NC. He is also Adjunct Associate Professor of Psychiatry at the University of North Carolina School of Medicine. He is author of the newly released Stopping the Noise in Your Head: The New Way to Overcome Anxiety and Worry and the classic self-help book Don’t Panic: Taking Control of Anxiety Attacks. This information-packed session will teach you how to assess clients' anxious habits, symptoms and behaviors with evidence-based strategies that are effective with even your toughest clients. Learn how to catch the anxiety spiral early to significantly reduce the habit of worry and panic using self-controlled desensitization. Master evidence-based treatments, from mindfulness to cognitive therapy, that can help your clients problem solve, reduce tension and increase energy. Make a positive change in your professional life, as well as your clients, by learning key strategies that have helped thousands of clients. Jennifer Abel is an international speaker, author and clinical psychologist, who has specialized in the treatment of anxiety disorders for over 20 years. 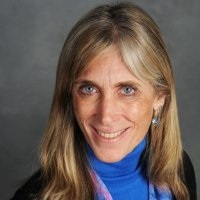 Before opening a private practice, she served as the Associate Director of the Stress and Anxiety Disorders Institute at Penn State under the direction of the leading expert in Generalized Anxiety Disorder (GAD), T.D. Borkovec. Combat your client’s depression with innovative strategies such as cost vs. benefits analysis, the vertical downward technique, cognitive defusion, mindfulness visualizations and emotional regulation practices. Discover how to incorporate homework, mood logs and diaries in your between session treatment. You will also receive valuable handouts and diary/log samples to help your client track their moods, thoughts, and their progress. 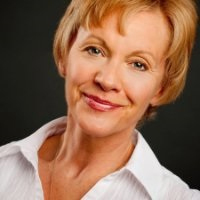 Judith Belmont has been a psychotherapist for 35 years, with a focus on practical, psycho-social and psycho-educational skills training. 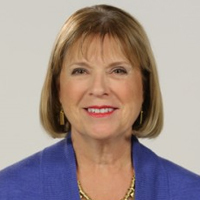 She is the author of PESI’s popular 3 book series, 86 TIPS, 103 Group Activities and TIPS, and 127 More Amazing TIPS & Tools for the Therapeutic Toolbox, which offers practical, action-oriented strategies to help people develop healthy life skills. She is also a national speaker on various mental health and wellness topics for a variety of populations, including mental health professionals, women’s conferences and expos and as well as workplace wellness programs. This follow-along yoga session will show you powerful yoga and meditation tools that you can teach clients to heal depression. Good for body and mind, this one hour video begins with an encouraging and educational introduction then moves into a guided practice featuring four practitioners who demonstrate modifications so you can choose poses most appropriate for you. Carefully instructed, this session teaches you to focus on breathing, witness thoughts, be aware of the present moment, enjoy simple movement and use your imagination for healing. Mary NurrieStearns has over 35 years of professional experience in mental health and maintains a counseling practice in Tulsa, OK. An advanced level yoga teacher and mindfulness student of Thich Naht Hahn, she is a long-time yoga practitioner and meditator. 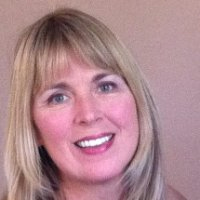 Mary is the author of Yoga for Anxiety, Yoga for Emotional Trauma and Yoga Mind, Peaceful Mind (2015). She teaches yoga, mindfulness, and meditation, teaches seminars across the United States and co-leads, with her husband, transformational meditation and yoga retreats. She has suffered from anxiety and emotional trauma and credits mindfulness practices for profound personal transformation. Mary has trained thousands of clinicians in the practices of yoga, meditation, mindfulness and self-acceptance. 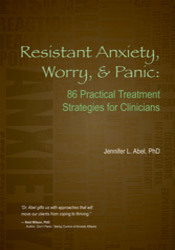 This book illustrates the most prominent psychological treatment methods for therapists to use with anxious clients. 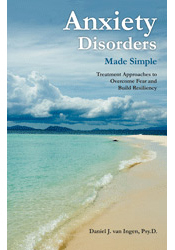 Rooted in current research, it presents proven strategies to establish breakthroughs in anxiety treatment. Author Dr. van Ingen provides vivid, practical examples to empower people to build anxiety tolerance, gain freedom, and experience resiliency as they confront their fears. Nearly one in every three Americans will suffer from an anxiety disorder at some time during their lives. Dr. Stanley Hibbs offers the tools to end this suffering with the Three C's: Calm the Body, Correct the Thinking, and Confront the Fears. 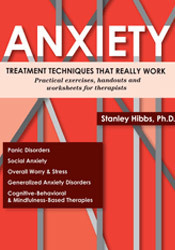 Combining evidence-based treatment approaches and 30 years of clinical experience, author Dr. Stan Hibbs has assembled a collection of his most effective anxiety treatments. Concise, clear and practical, all the tools you need to motivate, encourage and effectively treat your anxious clients. Applied relaxation and self-control desensitization to transform the worry habit and much more! Want to know more about the course outline and speakers? Online message boards to collaborate with other professionals taking the course. Earn up to 17.5 CE Hours, with online testing — included in the price. Click here for credit information. Access to the materials forever! Watch online at your convenience or download to your computer or mobile device. Plus, use the CE21 Mobile™ app to access the course content on-the-go, wherever and whenever you want on your mobile devices. Complete your CE tests online, with instant access to your CE certificates. Register for this intensive training course without risk. If you're not completely satisfied, give us a call at 866-367-5697. We’re that confident that you'll find this learning experience to be all that's promised and more than you expected. Login to begin viewing the videos at your own pace. Complete your CE tests online when it's convenient for you, to earn up to 17.5 CE Hours. Click here for credit information.